UPDATE: the giveaway is now over, please scroll to the bottom to see the winner. We know that an iPad is the photographers best friend. It allows you to share your portfolio in a nifty way, to watch the images as soon as your camea spits them and to manage your time (and spend it as well). This is why we teamed up with PunchTab to give away a brand new New 16gig iPad. 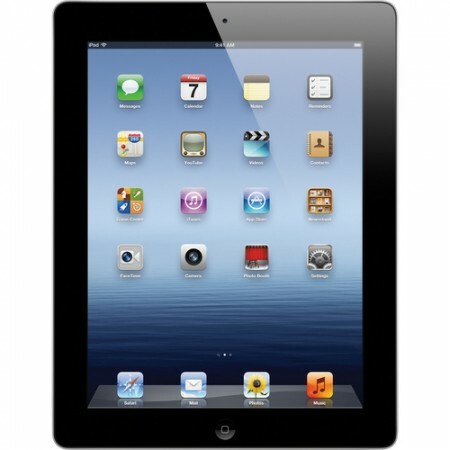 Prize: An all new New 16GB iPad Black ($499 + Shipping). You can use it for tethered (kinda) shooting, model releases, create a photobooth, or just get creative with it. PunchTab: We are going to do things a bit differently this time and use the PunchTab, a slick online rewards platform to get raffle entries – they are also the nice bunch who sponsor the prize. Raffle: To enter, all you need to do is to enter the raffle with your facebook or email address. and you get extra entries for tweeting, following DIYP on facebook and twitter and sharing about this giveaway. PunchTab’s random engine will select a winner once the raffle is over on July 23. 1. Contest is open world wide, PunchTab will pick up shipping and customs. 2. We care about your privacy, so when you opt in with your email or facebook we will never give those away to anyone, or spam you in any way. Promise. 3. We will contact the winner by e-mail. If they dont respond within three days, we pick another winner. 4. One entry per person, please. UPDATE: the giveaway is now over, with an overwhelming submissions number: 24,681. thanks to the awesome folks at punchtab for sponsering it. The winner of the new 16 GB iPad is Aaron Borst. Congrats, an email was sent to the winenr!